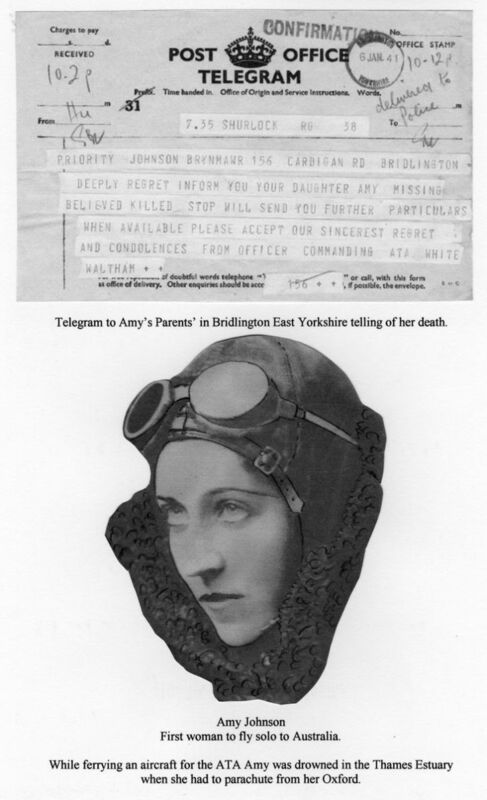 Amy Johnson with the telegram advising of her death. 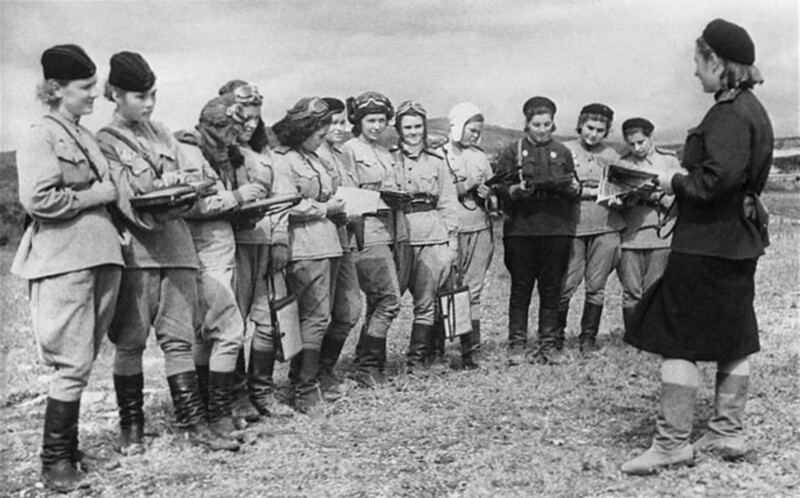 ATA women were not allowed to engage in combat but these Russian women (Night Witches) were given outdated aircraft but were feared by the Germans as a force to be reckoned with. Another view of the Russian "Night witches" flying Hurricanes supplied by Britain. With the dark clouds of war gathering the British aero industry started to move into overdrive. The immediate problem was a grave shortage of pilots to fly the newly manufactured powerful fighters and bombers from the factories as the majority of suitable men had been gobbled up by the RAF or various flying schools. As each of them qualified they were immediately snapped up by the RAF and as war dawned these new inexperienced pilots were strapped into a Hawker Hurricane or early mark of the Supermarine Spitfire to take on the Nazi hordes. Huge advances had been made in bombers and the existing bi-plane versions had been replaced with massive mono-plane multi-engine long distance aircraft, a completely new concept requiring highly trained pilots. The factories started to build these new advanced aircraft in their hundreds and thousands, each one requiring a competent pilot to deliver it from the factory to its allotted airfield or onward for armaments or special equipment to be fitted. As the war increased in intensity many damaged aircraft needed repair and again pilots to return them to the factory and afterwards to their squadrons or into storage. The onset of the Battle of Britain meant that not only were aircraft lost but a significant number of experienced pilots lost their lives and replacement aircraft were being flown in battle by young pilots with, sometimes, just a few tens of hours of experience of flying a simple trainer and then being required to fly a high powered highly manoeuvrable fighter which would be pitted against a similar German aircraft flown perhaps by a similar fresh faced pilot. As we said, all of these new or replacement aircraft had to be flown to their allotted frontline base but all of the experienced pilots were fighting for our very lives and this essential work fell to a little known and certainly unsung unit - the ATA (Air Transport Auxiliary). 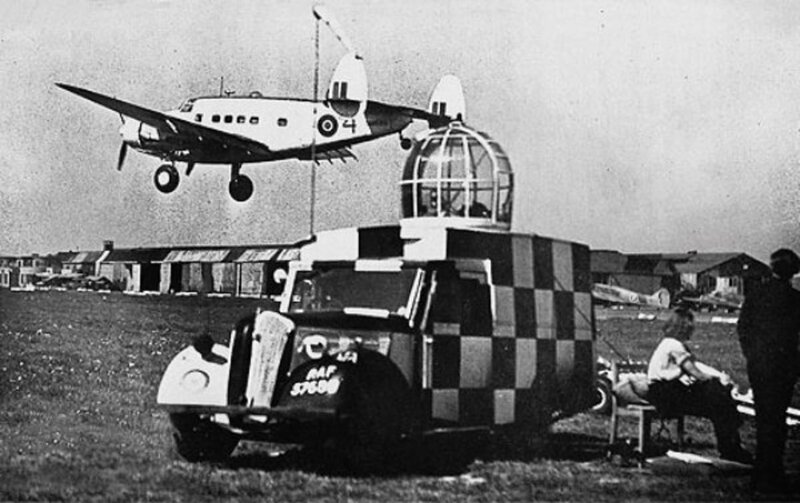 The Air Transport Auxiliary (ATA) was civilian organisation based at White Waltham Airfield Maidenhead and was active from 15th February 1940 to 30th November 1945. Here they organised and supplied pilots to ferry new, repaired and damaged military aircraft between UK factories, assembly plants and transatlantic delivery points for incoming and returning units. They also flew anything airworthy to maintenance Units (MU) or scrap yards, and active service squadrons and airfields—but they were not cleared to land or take off from aircraft carriers. It also flew essential service personnel on urgent duty from one place to another and performed critical air ambulance work. As the war progressed their role increased from initially transporting mail and medical supplies to ferry pools transporting light and transport aircraft to ferrying all military aircraft from the factories to the armament fitting units and eventually all aircraft ferry operations. 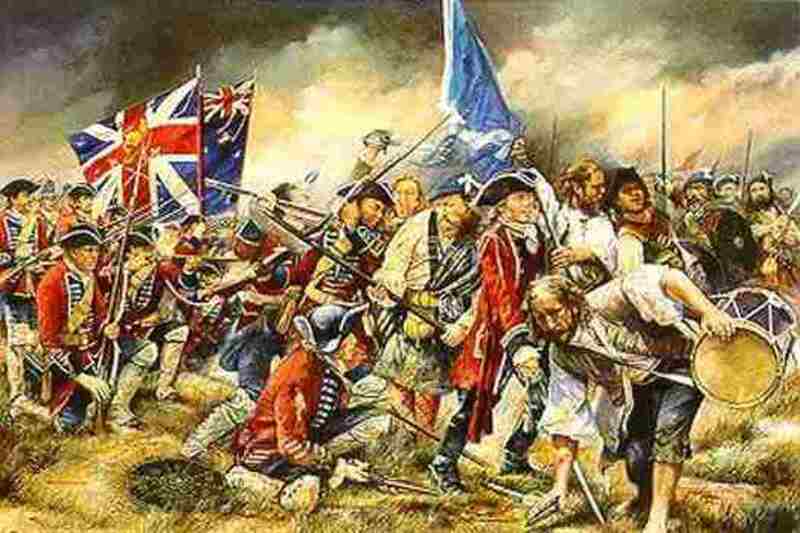 This obviously had the effect of releasing as many combat trained pilots as possible for combat duty. 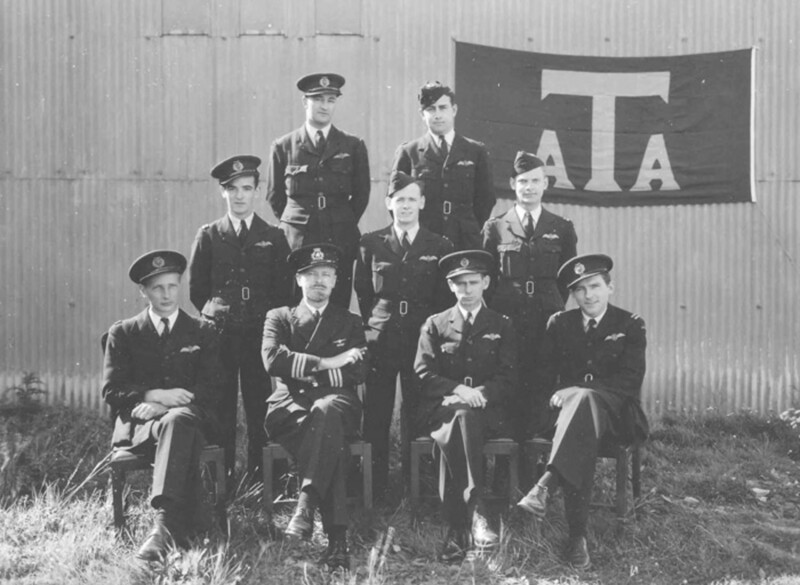 The ATA recruited its pilots from the civilian sector using those who were considered to be unsuitable for reasons of age or fitness for either the combat Royal Air Force or the Fleet Air Arm and they humorously referred to themselves as "Ancient and Tattered Airmen". They also took suitable pilots from 28 neutral countries and, most notably, for the first time, women pilots. This was a unique feature of the ATA in that physical handicaps were ignored if the pilot could do the job. Therefore there were older pilots from the Great War and those with one arm, one leg, short-sighted (but corrected with glasses) and one-eyed pilots flying all manner of aircraft. 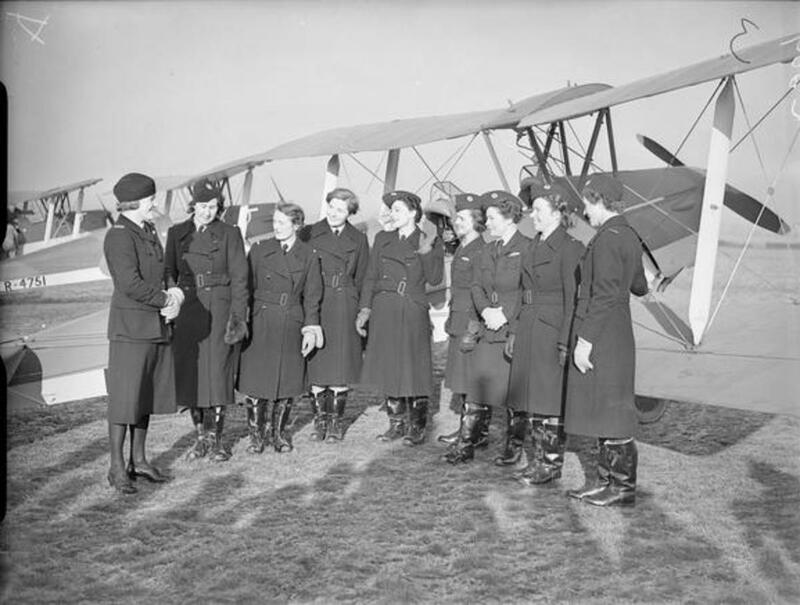 Towards the end of 1939, Commander Pauline Gower (MBE) was instructed to organise a specific women's section of the ATA. 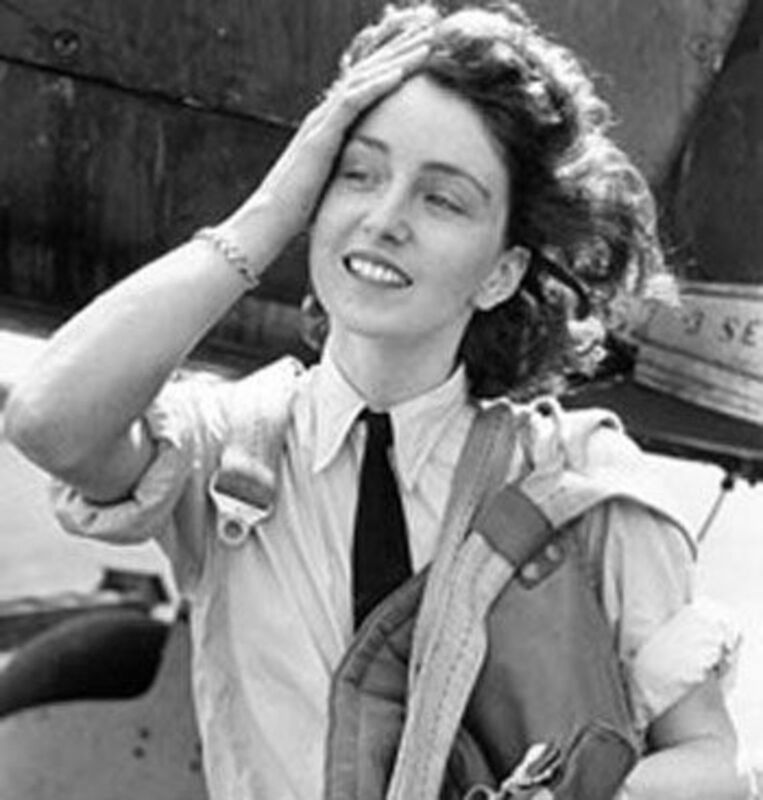 There were a total of 166 women pilots who volunteered from Britain, the Commonwealth (Canada, New Zealand and South Africa), United States, the Netherlands, Poland, and one from Argentina, Maureen Dunlop. By the end of the war fifteen had become casualties and gave their lives in the air, including the British pioneer aviator Amy Johnson. 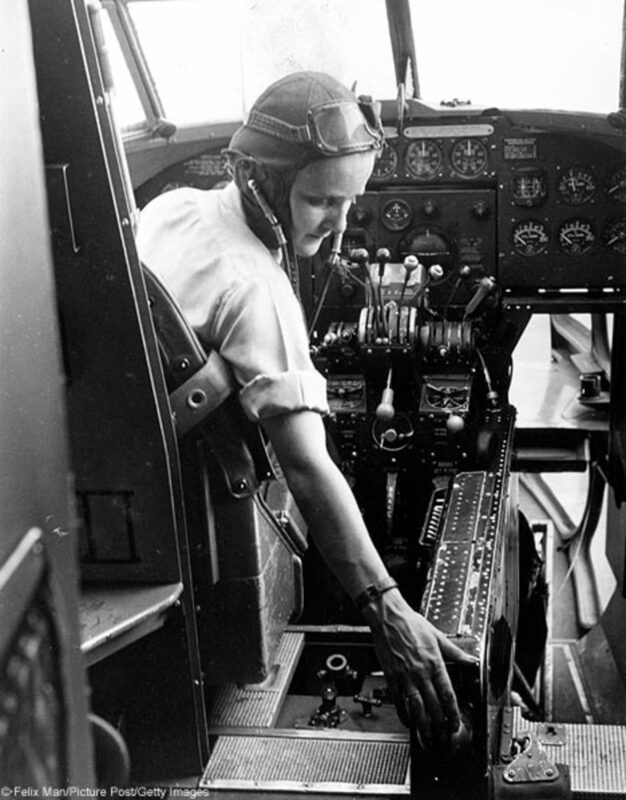 Women pilots were initially restricted to fly non-combat aircraft (i.e. trainers and transports), but they were eventually permitted to fly virtually every aircraft flown by the RAF and Fleet Air Arm including the huge four-engine bombers, but excluding the largest flying boats. Initially ATA pilots were trained on military aircraft at the RAF’s Central Flying School but as the demand grew they developed their own training programme. They used a simple system of progressing each pilot from light trainers through six different types until they were qualified to fly the largest and most complicated. 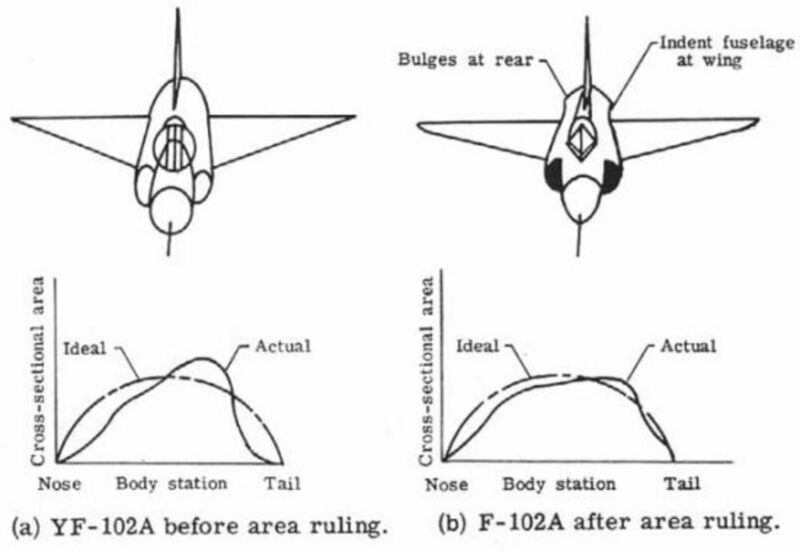 This meant that they became progressively qualified in stages to fly or ferry increasing classes of aircraft allowing them to eventually ferry all types. Once cleared to fly a particular class, pilots could be asked to ferry any aircraft up to and including that class even if they had never seen that particular type of aircraft before. 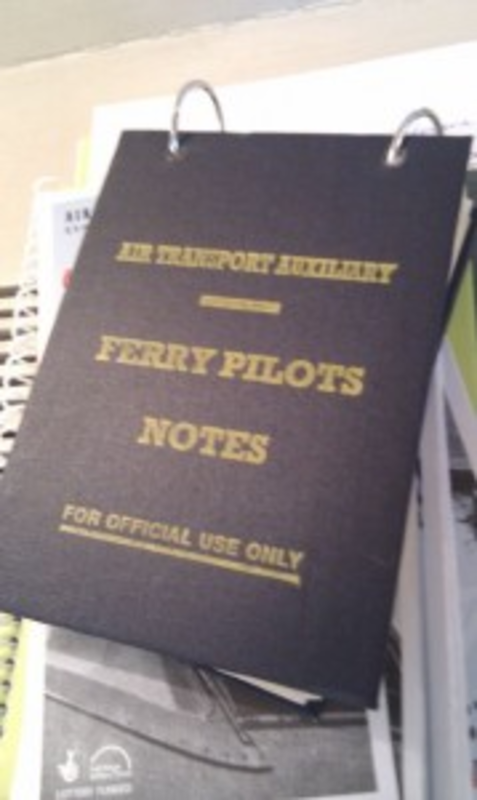 Their only aid to do so was to spend 20 minutes or so reading a binder called “Ferry Pilot Notes”, a two-ring book of small cards with the control positions, critical statistics and notations, the absolute minimum necessary to fly each aircraft. The training in the ATA was for its pilots just to ferry aircraft, rather than to gain perfection on every type. For example no aerobatics or blind flying was taught and pilots were explicitly forbidden from doing either, even if capable of doing so. The prime objective of the ATA was to deliver aircraft safely, without damage or undue stress to the airframe and that meant taking no unnecessary risks. However, it should be remembered that the guns were unloaded or not fitted; there was no working radio and they had the requirement to fly in any weather, within reason. In addition the aircraft had no working navigation aids and the pilots had to find their way by of flying at 2000ft and using visual sighting of landmarks or roads. As mentioned they didn't have any radio. There were no navigational aids in the aircraft and there were a lot of balloon barrages .When they'd go into a factory they'd let down the balloon barrages in time for them to fly out and then balloons would go back up. They would just hope that there was no reason to have to return in a hurry. Although the ATA was not a part of the RAF they had a ranking system that was similar. Their motto was “: Aetheris Avidi” ("Eager for the Air") and their call sign was “Lost child”. Their slightly more acceptable nickname was “Anything to Anywhere” (ATA). 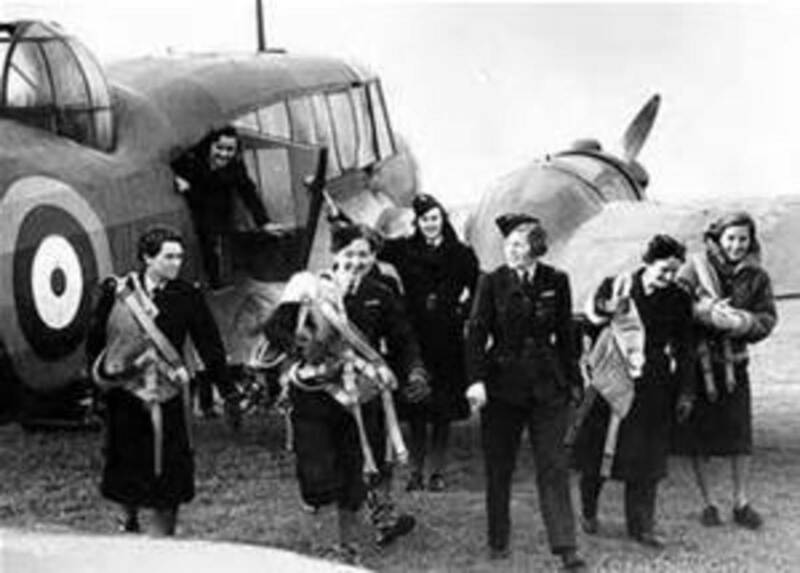 For the women the supplied uniform provided consisted of: a pleated skirt, slacks, a one piece "Sidcot" flying suit with a quilted liner, sheepskin leather "Irvin" flying jacket, a blue service tunic with four pockets, a belt with a large brass buckle, a great coat and a forage cap. Women pilots had to purchase their own blue shirts, black nylon stocking, black shoes and black tie. Officially, they could only wear slacks on the base, and a skirt was to be worn off-duty. The same rule applied to the nice warm black leather fleece lined flying boots; but both rules appear to have been quite routinely ignored. It’s worth noting and acknowledging at this point some of the more well known of the women pilots that flew for the ATA. Amy Johnson - Pioneer Airwoman, born in Hull, first woman to fly solo to Australia. Went missing 5/1/1941, when she reputedly baled out of an Airspeed Oxford which became lost and ran out of fuel over Thames estuary. Despite an armed trawler being in the area neither the aircraft nor her body has been found. There is some uncorroborated evidence that the aircraft was transmitting the wrong FOE (friend or foe) signal and she was shot down by anti-aircraft defences. Lettice Curtis - born 1916 in Devon and qualified to fly every aircraft including heavy bombers. Post-war she raced a Wicko and Spitfire XI while working for Fairy Aviation as a senior flight development engineer; she eventually grounded herself in 1995 after having qualified to fly helicopters in 1992. Died July 2014. 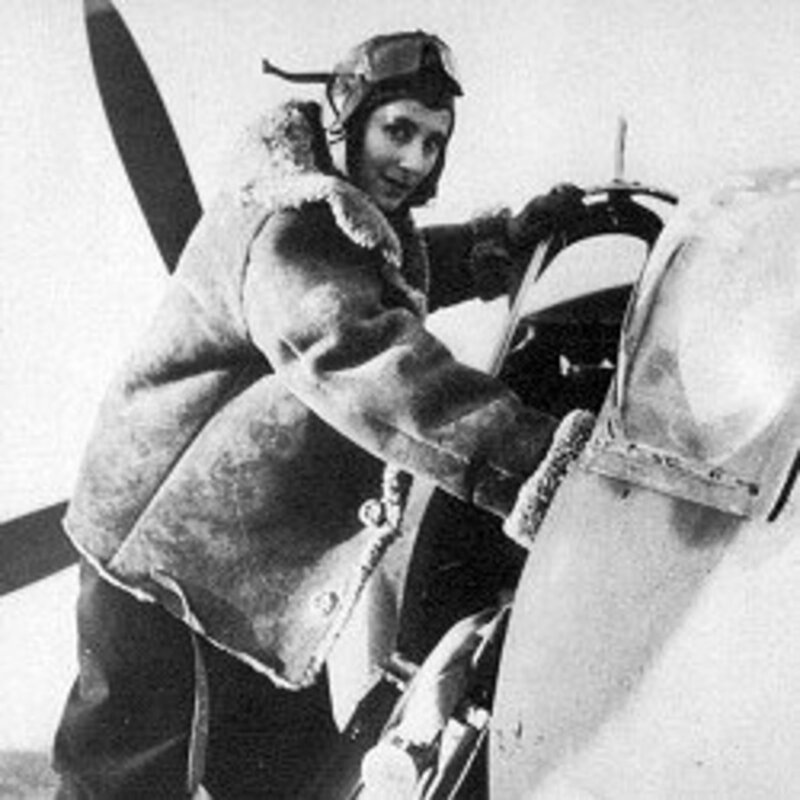 Diana Barnato Walker - born in London she enthusiastically flew anything with wings and an engine but had a particular liking for Spitfires. First woman pilot to break the sound barrier in an English Electric Lightening in 1963. Developed cancer and died 28/4/2008 aged 90. Pauline Mary de Peauly Gower - Born in 1910 Ran an all-female air taxi service pre-war. She was made a civil defence commissioner with the London Civil Air Guard in 1938. Became Commander of the ATA. Died in childbirth 1947 aged 37. Molly Rose - was a qualified civilian pilot before the war and flew all aircraft except four engine bombers. Joined ATA in 1942 and quickly became qualified to fly all types except 5 and 6. Husband was a POW. Still alive 2014. Winifred Crossley - Flight Commander. One of the original eight, pre-war flew with Alan Cobham's Circus as a stunt pilot. Flew more than 1000 hours on 36 different types of aircraft. Died in 1984 in Aylesbury, Bucks. Margaret Cunnison Ebbage - Flight Captain. One of the original eight. 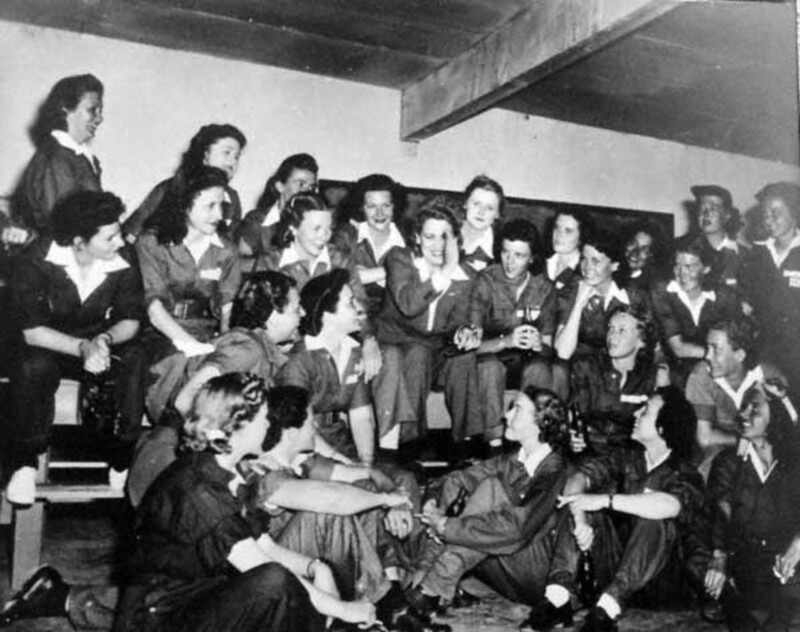 (Also was a member of the National Women's Air Reserve, a group that provided aid in national emergencies). Pre-war flew giving joy rides and became a flying instructor. Born Blairgowrie Scotland, Died: 4/1/2004, in Haddington, aged 89. Margaret Unison - One of the original eight. 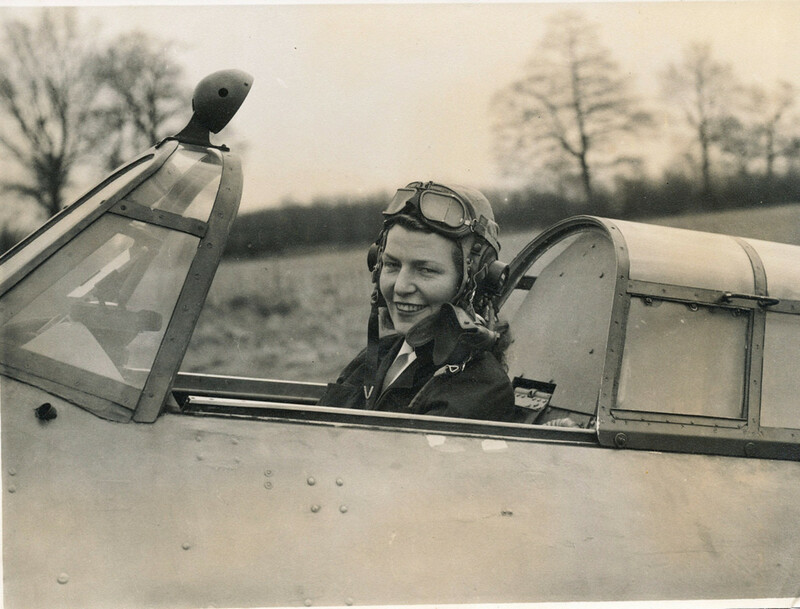 Philippa Bennett - Born at Edgbaston, Birmingham, she joined the ATA in 1940.She started ferrying single engine fighters and quickly advanced to multi-engine bombers. Her total was 1200 aircraft of 70 different types. After the war she set up an air-taxi service and eventually died aged 87. Wendy Sale-Barker - She was a pre-war daredevil skier and flier, she captained the British Ski Team in the infamous 1936 Olympics. In 1932, Wendy was seriously injured when she crashed her Gipsy Moth on the way to Cape Town but recovered and went on to fly everything in the ATA. Mona Friedlander - One of the original eight. International Ice Hockey player, held a navigator as well as a pilots licence. Spent many hours flying in front of anti-aircraft batteries helping them to range their guns and searchlights. Got married and left ATA in 1943. The Hon. 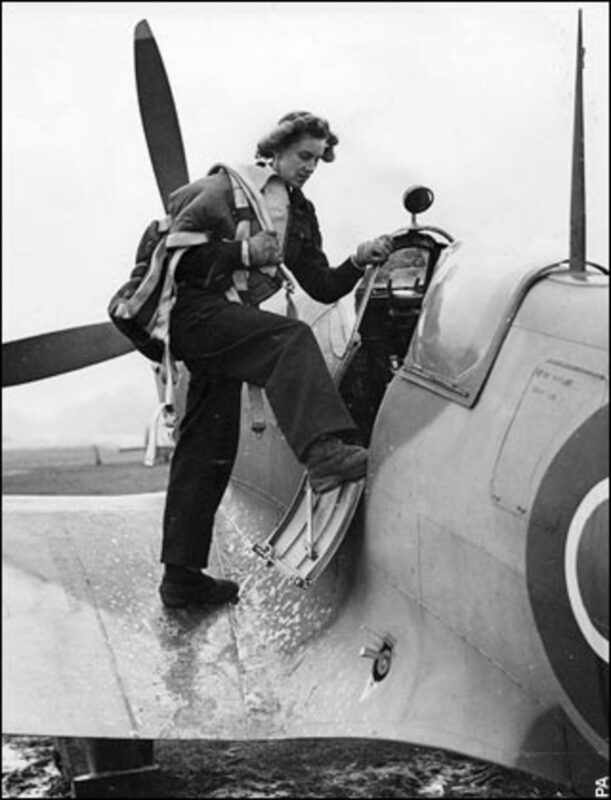 Mrs Fairweather, First woman to fly a Spitfire. Prior to the war she was an instructor with Civil Air Corp and had over 1000 hours experience. 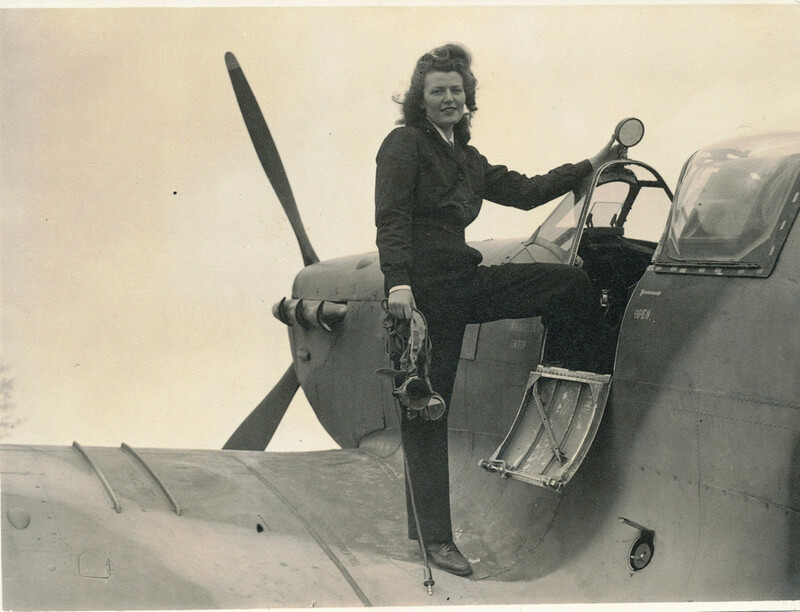 She joined her husband at Air Movements Flight at White Waltham in 1942. She was killed in 1944 and her husband a short while later. Gabrielle Patterson, - One of the original eight. Married with a small son. Became chief instructor and head of the Women's Corps of the Civil Air Guard in Essex. Marion Wilberforce - One of the original eight. Had been an experienced pilot for almost a decade before the war with her own Gypsy Moth. Became Commander of the No. 2 Ferry Pool at Cotsford. Continued flying her Hornet Moth until she was 80. She died at age 93, in July 1996. Joan Lily Amelia Hughes, MBE Born in West Ham London One of the original eight. At 17 she was the youngest flyer in Britain starting at 15. By 22 she was the only woman qualified to instruct on all types of military aircraft in service during the war. She went on to become one of Britain’s first female test pilots. After the war she flew various aircraft in many well-known films finally dying aged 74. in August 1992 with 11800 hours in her logbook. Margot Duhalde - From Santiago in Chile. Came to Europe to fly for France but it had capitulated before she arrived. Spoke no English on arrival and known to everyone as “Chile”. Mary Ellis,- Joined 1941 Delivered over 1000 aircraft of 76 different types including the RAFs first jet - the Gloster Meteor. The entire ATA operated frequently in poor and hazardous conditions on many occasions and their value to the war effort was identified by their tally of decorations. Lord Beaverbrook, (Max Aitken, 1st Baron Beaverbrook), gave an appropriate tribute at the closing ceremony disbanding the ATA at White Waltham on 30 November 1945. During the period 1940-1945, in total, the service flew 415,000 hours and delivered over 308,000 aircraft of 130 types including Supermarine Spitfires, Hawker Hurricanes, Mosquitoes, P51 Mustangs, Lancasters, Halifaxes, Stirlings, Fairey Swordfish, Fairey Barracudas, B17 Fortresses and B24 Liberators. In order to achieve the necessary basic training the average aircraft strength of the ATA training schools was 78. A total of 133,247 hours were flown by school aircraft and 6,013 conversion courses were put through. The total flying hours of the Air Movement Flight was 17,059 of which 8,570 were on UK internal flights and 8,489 on overseas flights. 883 tons of freight was carried and 3,430 passengers transported without casualty. Total taxi hours amounted to 179,325 excluding Air Movements. The administration of the organisation was the province of Gerard d'Erlanger, a director of the British Overseas Airways Corporation (BOAC). He had foreseen and suggested a similar organisation prior to the war in a letter dated 24th May 1938. 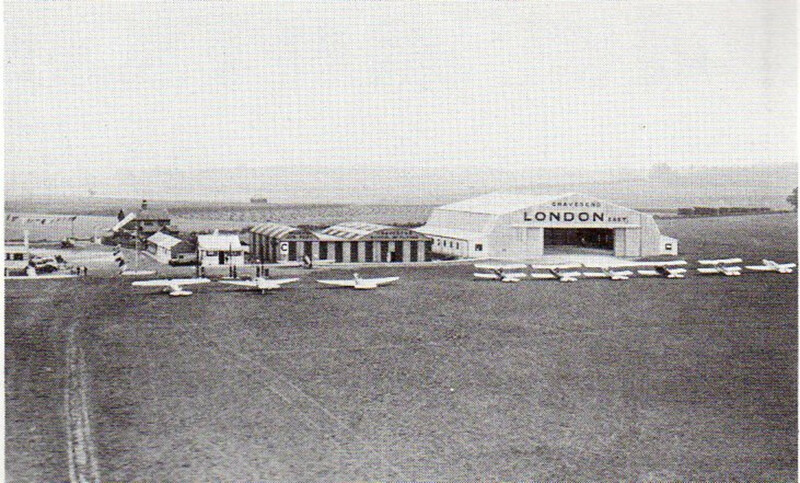 In late August 1939, the ATA was placed under British Airways Ltd. for initial administration and finance. On 10th October 1939, Air Member for Supply and Organisation (AMSO) took over the control of the ATA. The first pilots were assigned to RAF Reserve Command and attached to RAF Flights to ferry trainers, fighters and bombers from factory and storage to the required fighter and bomber airfields. Late in 1939, it was decided that a third and entirely civilian ferry pool at White Waltham near Maidenhead in Berkshire should be set up. Operations of this pool began on 15th February 1940. On 16th May 1940, RAF Maintenance Command through 41 Group, took control. Then on 22nd July 1941, the ATA came under the control of the Ministry of Production (MAP). Although control shifted to these many departments, the administration was always carried out by BOAC under Commander Gerard d’Erlanger CBE. Normally only very bad weather or equipment malfunction grounded Wood-Kelly or any of the other pilots, but one day in 1944 she was grounded for a different reason: D-Day, the Allied invasion of Europe, was about to begin. They recalled that, that evening after dinner, they we're all on the lawn having coffee when suddenly the sky became full of the roar of aero engines and so black you could see nothing in the sky except aircraft, aircraft and more aircraft, so they knew that D-Day was about to commence. In the morning, Wood-Kelly and a friend loaded a jeep with strawberries and took them down to the waiting Allied troops. 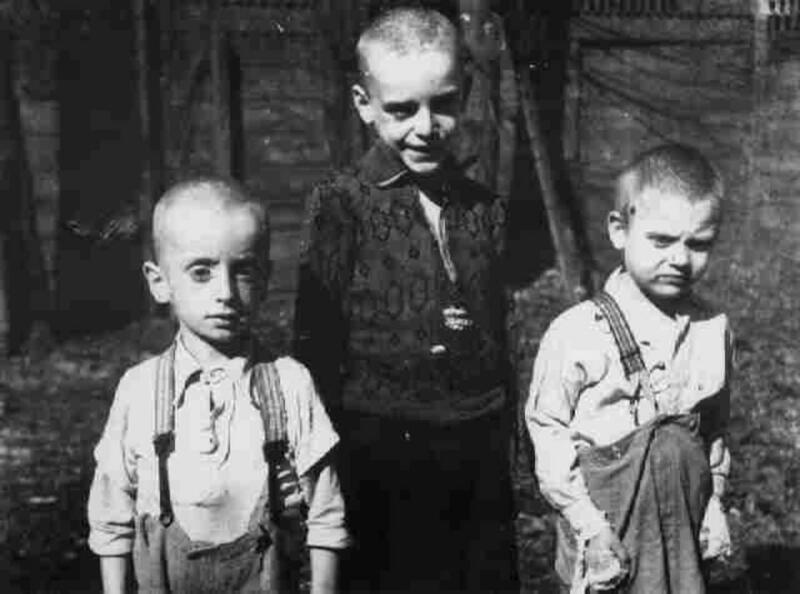 Following the invasion, as the war in Europe wound down, Wood-Kelly began flying food to some of the liberated countries, who were desperately short of nutrition and literally starving. Holland was particularly badly affected and transport aircraft began dropping food instead of paratroops. 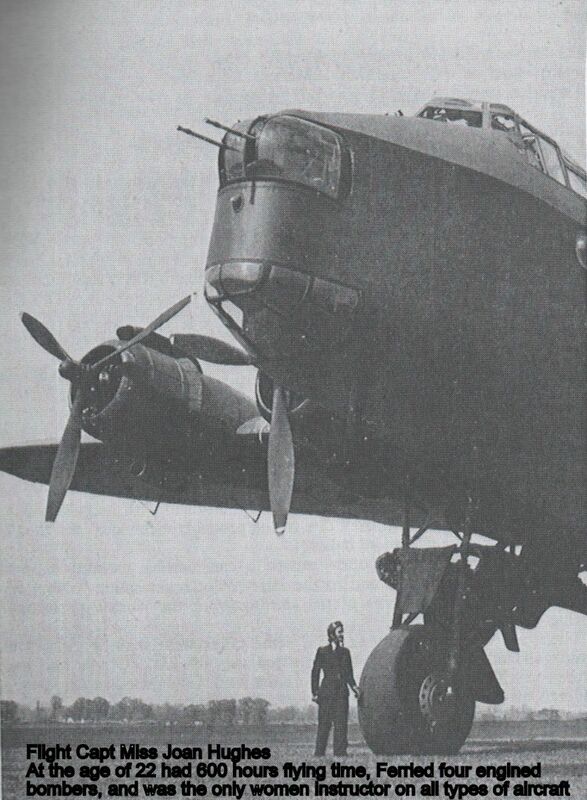 Between 1940 and 1945, as mentioned, the service delivered more than 300,000 aircraft. Ann Wood-Kelly herself flew more than 900 planes, of 75 types, including Spitfires, Mosquitoes - her favourites - American Mustangs, Thunderbolts and Kittyhawks, and four-engine Lancaster, Stirlings, Flying Fortress and Liberator heavy bombers. Lettice Curtis was the first woman to fly a four-engine bomber of the twelve women and eventually attained a Class 5 Ranking. In a single day, Lettice flew two Class 1 aircraft, a Spitfire (Class 2), a Mitchell and a Mosquito (Class 4), and a Stirling (Class 5). This abrupt change of type required tremendous mental dexterity. We cannot discuss the ATA without mentioning the male pilots. 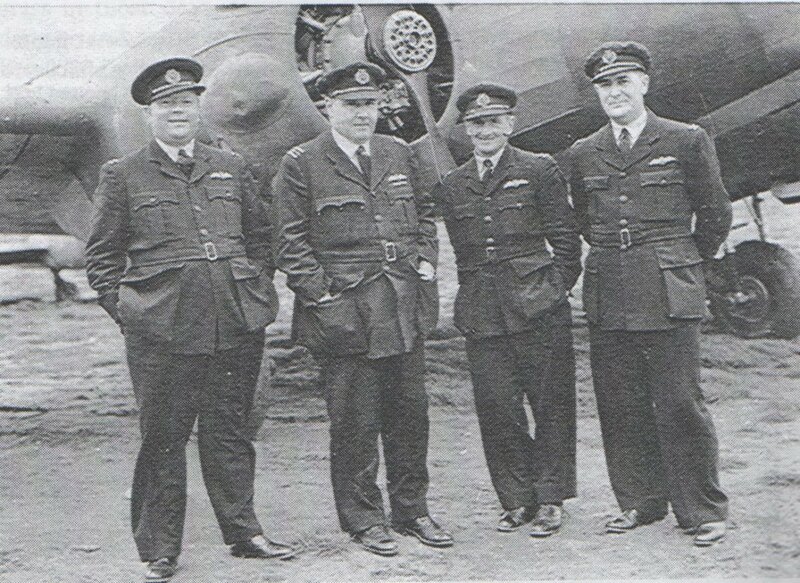 Like their female colleagues they flew in all conditions a vast number of aircraft types. 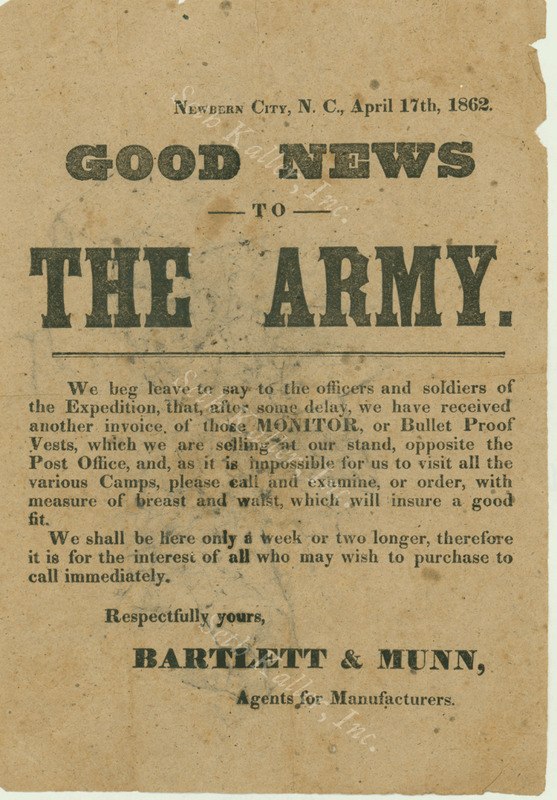 Unlike their female colleagues, most were considered unfit for combat duty and suffered from various infirmities, including lost limbs and even one eye. There was even a retired admiral, and pilots Charles Dutton and Stewart Keith-Jopp both had only one arm but this handicap did not stop them from flying demanding aircraft such as the Spitfire and the Typhoon. 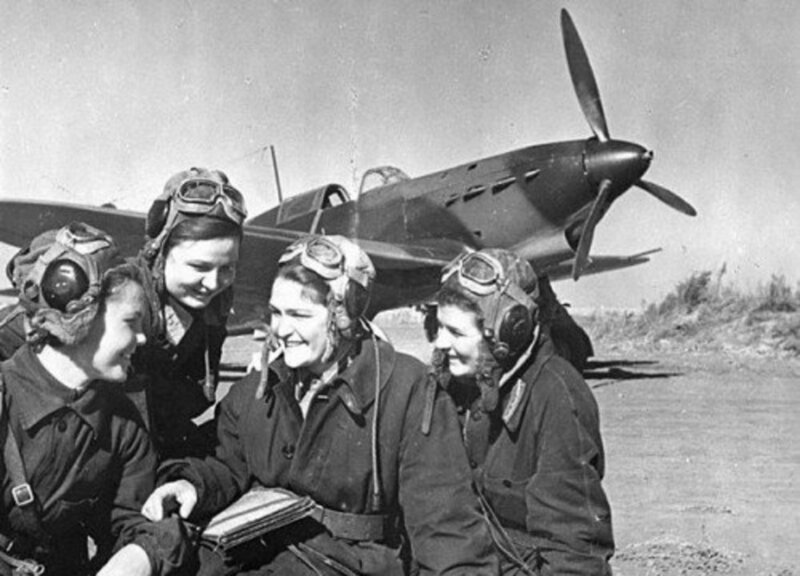 Finally there are many stories surrounding the female pilots. Apparently one squadron was about to change to the Bristol Beaufighter. This powerful deadly aircraft had a reputation for torque sheer caused by the brute force of its Hercules 14-cylinder radial engines. On an overcast day the pilots were sitting around grumbling about how difficult this aircraft, they were about to get, was supposed to be to fly. Apparently out of the heavy cloud a Beaufighter almost silently appeared (it was nicknamed "whispering death" by the Axis powers)and made a perfect landing and taxied to dispersal. From the aircraft dropped the slight figure of the pilot who walked towards the impressed assembled aircrew, removing her flying helmet and shaking free long beautiful blonde hair. 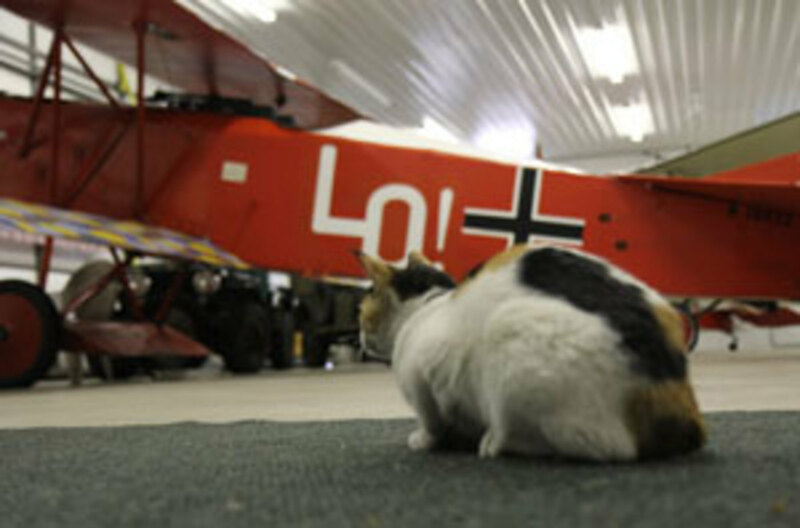 The pilots never complained about the aircraft again. A similar incident happened again on a very foggy day. The ground crew could hear the distinctive roar of the Merlin engines of a heavy bomber. They hurriedly switched on the runway lights and the huge shape of a Lancaster appeared out of the murk. A perfect landing was made and the lumbering aircraft taxied towards the hangers. The diminutive pilot appeared and proved to be a pretty slight girl who with a broad smile greeted the assembled, very impressed ground crew and pilots. A total of 174 ATA pilots, including 15 women, lost their lives in keeping our air and naval forces supplied with aircraft. Without these brave women and men the outcome of the war could have been very different and this article is dedicated to the memory of those who did not survive the war. 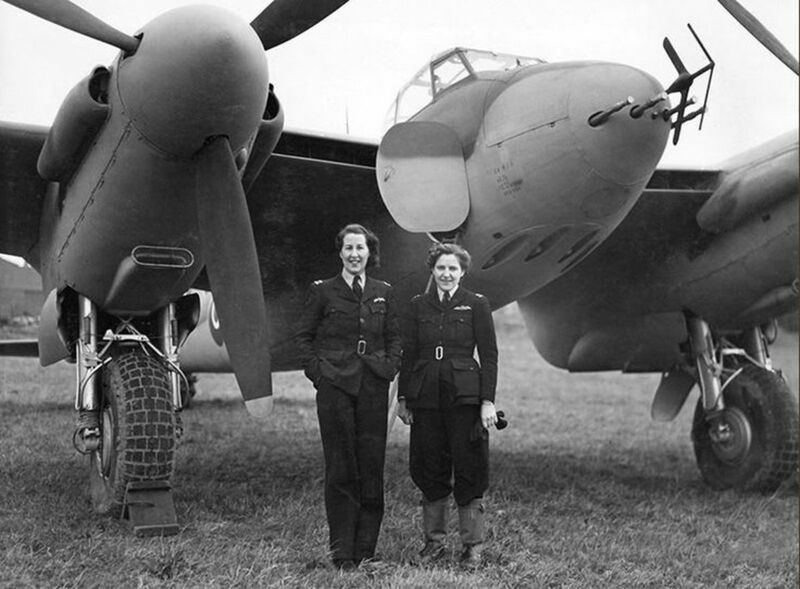 I have great admiration for these women who flew new and/or modified aircraft with nothing more than a few pages of notes, often with no radio or working guns to an unfamiliar destination, in wartime conditions. My late mother flew in the ATA during the war, but she was a very quiet unassuming woman who rarely spoke of her role. I wish I had asked her more about her time.